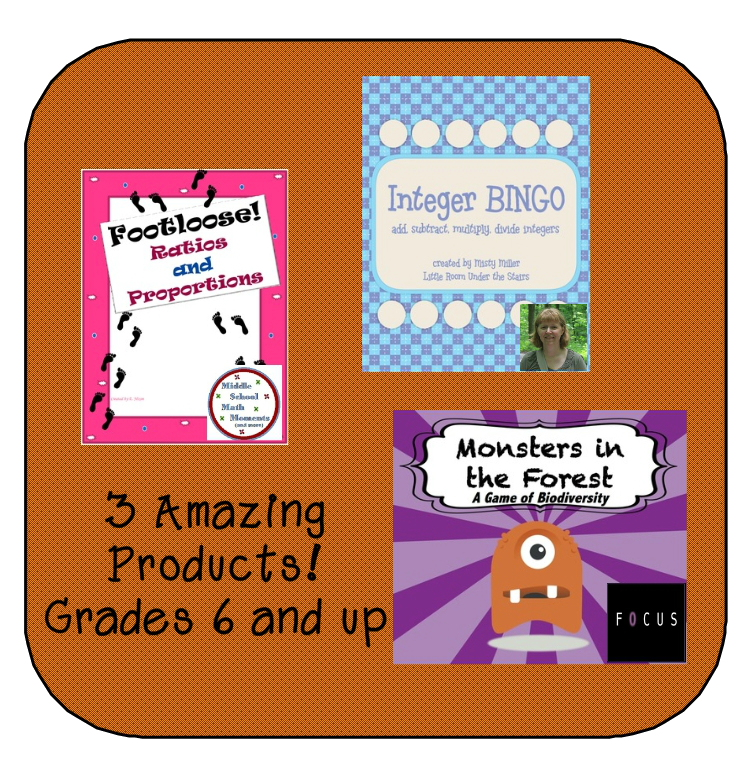 The Primary Treehouse: I'm So Thankful Blog Hop! 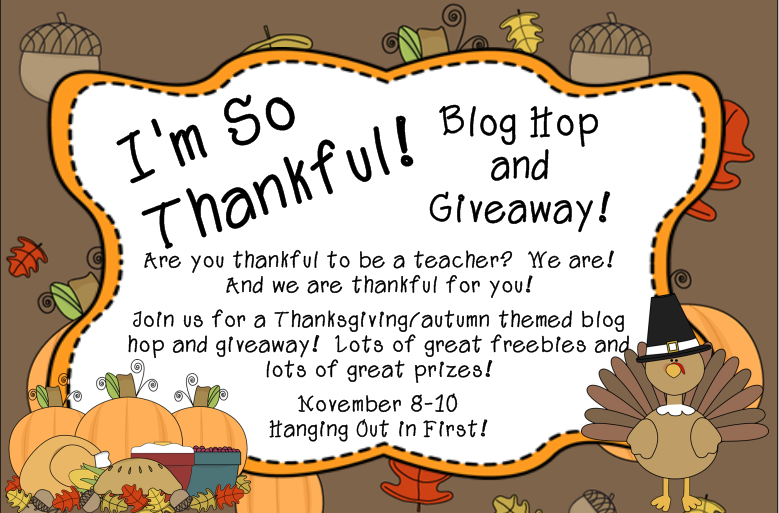 I'm So Thankful Blog Hop! We are celebrating all that we are thankful for and that includes teachers! We want to show all of you how much we appreciate you. Teachers do so much and this is our time to give back and say thank you! Thank you for following! Thank you for participating! Thank you for collaborating! Thank you for sharing! Thank you, thank you, thank you!! 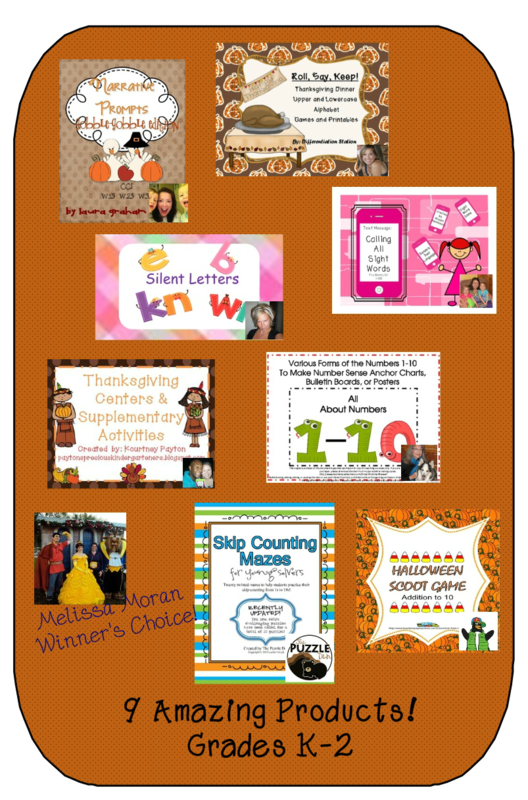 Join us by hopping through each blog and gathering lots of Thanksgiving and autumn freebies. In each freebie you will find a picture of a pie with a word on it. That word will tell you something that teacher is thankful for. 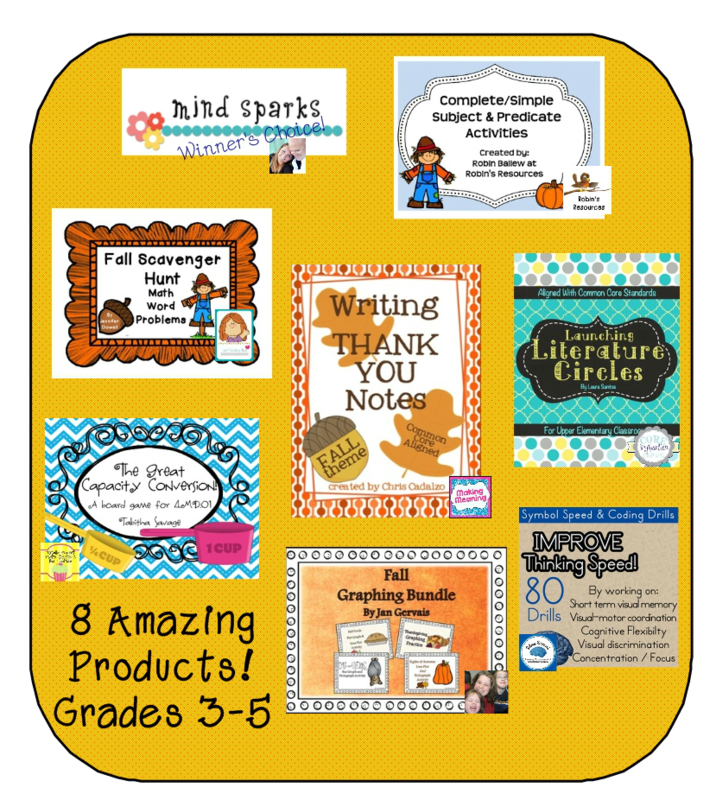 Record all of the words on your recording sheet and follow each blog along the way so that you can enter the amazing giveaway at the end! You may start anywhere along the hop, but you have found your way to the beginning! This is also where you will go in the end, for the giveaway!! You have made it to blog stop number 1. 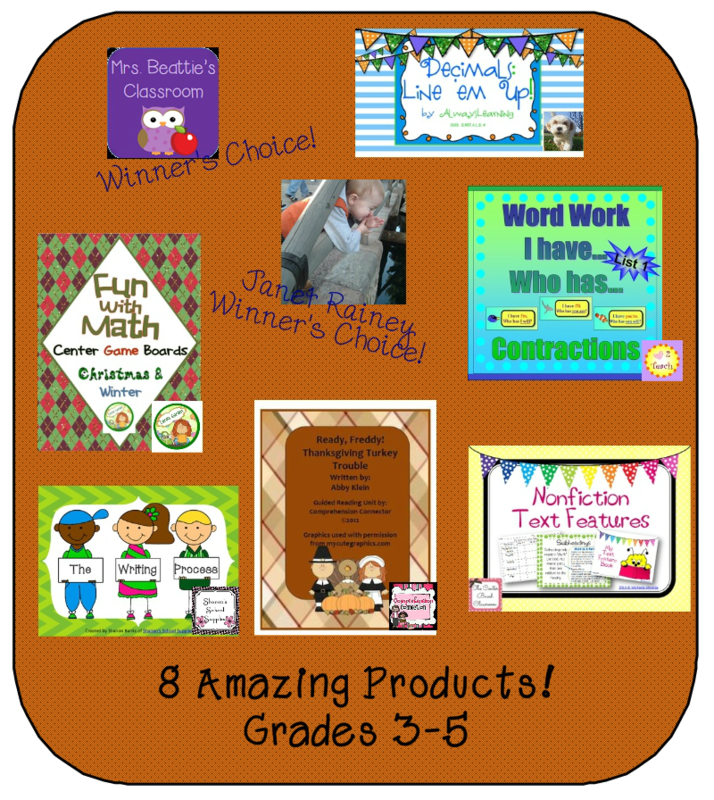 The product that I am sharing with you is a fun center that my firsties love! This center includes three different pictures (2 math and one holiday ELA). In each picture are tiny math problems (or words for the ELA one!). Students should use a magnifying glass to SPOT the equations and then JOT them down on their recording sheet! It is a fun SPOT AND JOT center!! I hope that you enjoy! Don't forget to come back and enter the giveaways!! We have so many! 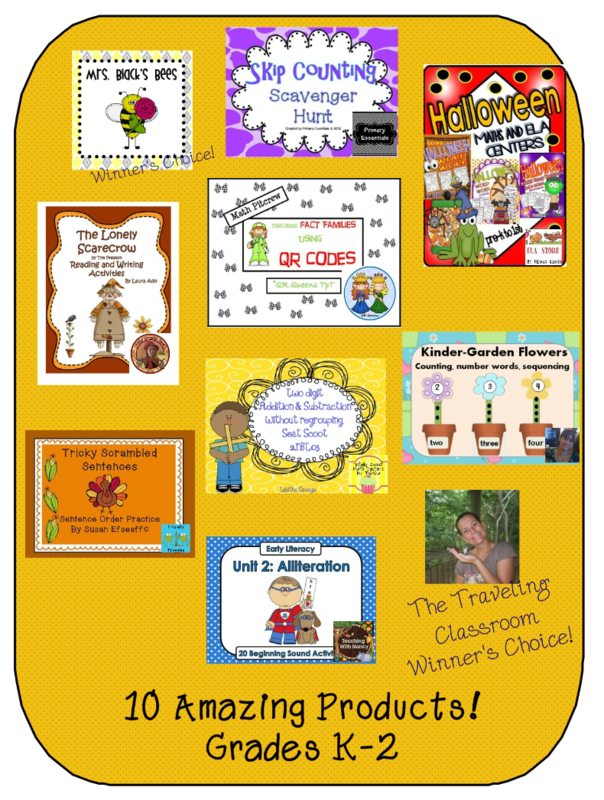 The first giveaway winner will win their choice of ANY 10 ITEMS from my TPT store!! 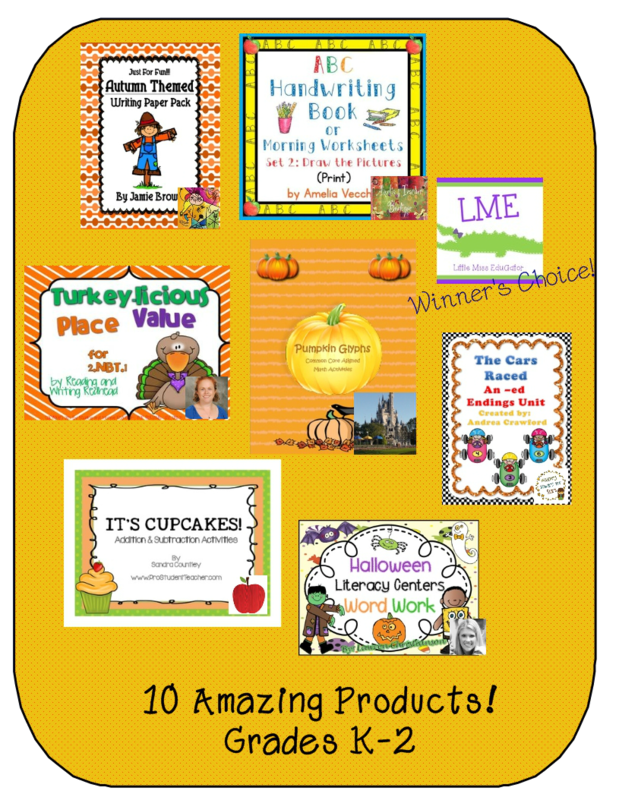 You are going to want to get your recording sheet handy with all of those thankful words!! Here is the second 3-5 pack giveaway! And the Giveaway for Grades 6 and up! Thanks for the cute freebie!! Love it! Jessica-Thanks for all of your hard work in putting this together. 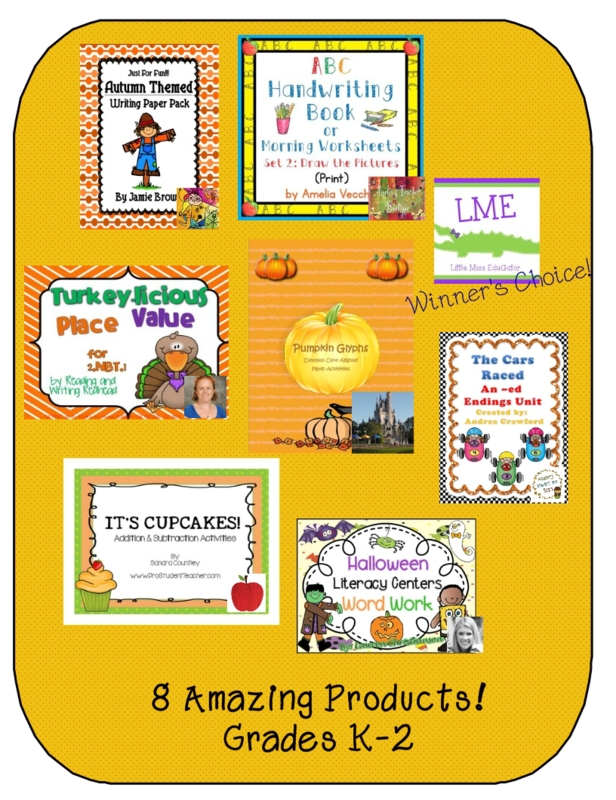 I appreciate the opportunity to participate with my blog and download freebies too.